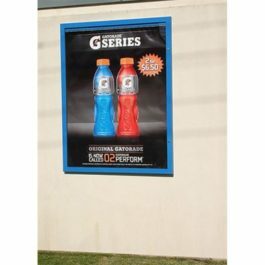 The MD1 Lockable Poster Frame is suited for applications where exposure to the weather and vandalism is moderate. 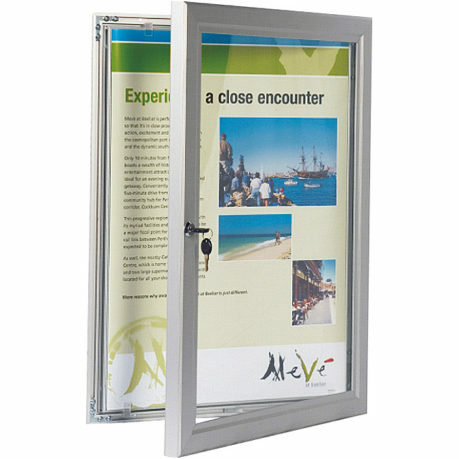 This lockable poster frame can display full-size posters that can be held in place by the integrated poster holder clips. They’re only available in a range of standard poster sizes. The MD1 is a cost effective reliable lockable poster frame that displays information clearly and securely. 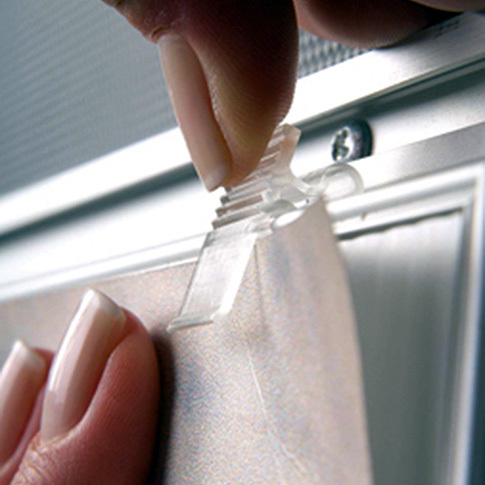 They are functionally more reliable and tamper resistant than snap clip poster frames. 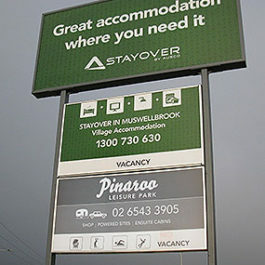 Typical applications include movie poster frames, advertising, promotional and menu boards and notices in public places. 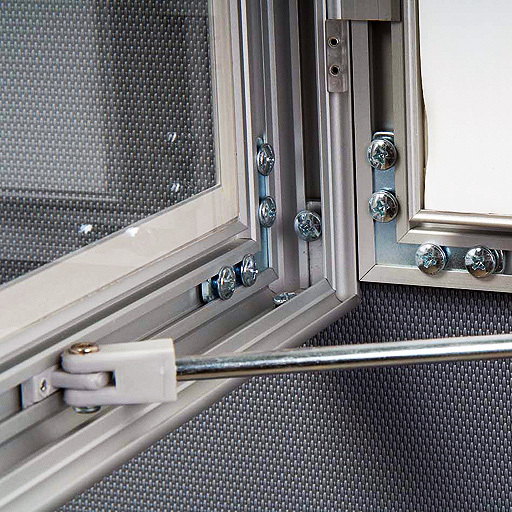 30 mm deep Aluminium frame. 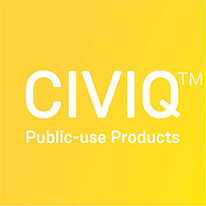 For visual size is minus 90mm from overall dimensions.